Vigorous, highly productive shrub that requires little attention. 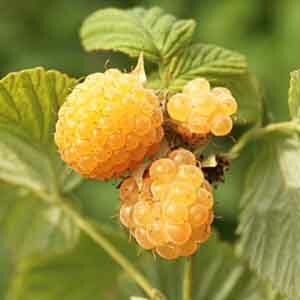 Provides an abundance of large, extremely sweet, golden yellow berries. Expect your first crop to be ready for harvest in midsummer, followed by a second crop in late summer. Golden Raspberries are similar to their red relatives when it comes to flavor and texture.